Vachon, 1949 (Buthidae) from Somaliland. 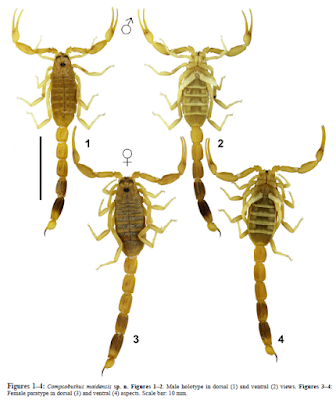 Kovarik F. Scorpions of the Horn of Africa (Arachnida, Scorpiones). Part XVI. Compsobuthus maidensis sp. n. (Buthidae) from Somaliland.